My take on Mark Steyn's latest. His column was published in the Orange County Register. Summary: Hating Jews goes back centuries. Like all prejudice, racial/ethnic hatred is not only wrong; it hurts the hater, too. As I always say, the "oldest hatred" didn't get that way without an ability to adapt: Once upon a time on the Continent, Jews were hated as rootless cosmopolitan figures who owed no national allegiance. So they became a conventional nation state, and now they're hated for that. And, if Hamas get their way and destroy the Jewish state, the few who survive will be hated for something else. So it goes. My Views: The anti-Israeli sentiment in Europe, America, and across the world has metastasized into a generalized hatred of the Jews. Steyn's article catalogues recent events in the news. Do non-Muslims hate Israel because it is Jewish, or because it is perceived as being pro-American? One thing that the article does not address is the mixed feelings among left-wing Jews towards Israel. Something awful is at work here. It is not just the anti-Jewish acts and words that deserve our concern and condemnation, it is the failure of the world leaders to meaningfully condemn them. - And here's a big raspberry to you Britain's PM Gordon Brown! Mark Steyn is a syndicated columnist from Canada. Here's his Wiki bio. His latest book is on the right. This is the book that got several Human Rights Commissions in Canada hot and bothered. 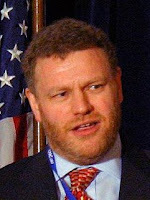 With free speech under unprecedented attack, Mark Steyn managed to pull out a badly needed victory. This was the first time a Canadian Human Rights Commission found a defendant innocent.